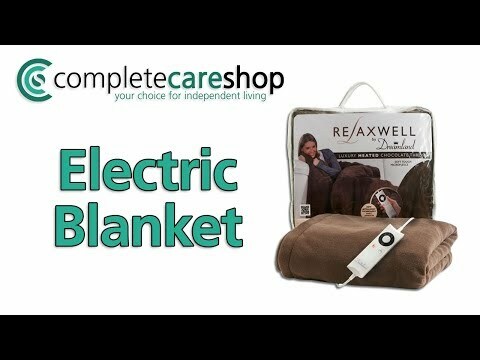 This luxurious Electric Blanket is well designed and well manufactured using the highest quality materials available to provide the user with a blanket that is warm, comforting and relaxing. Suitable for cold winter nights on the sofa, or for a little extra warmth in bed, the Electric Blanket uses instant heat technology to deliver soothing and stress relieving warmth at the touch of a button. The basic hand control is easy to use and features six different temperature options allowing the user to choose the cosiest and most relaxing setting with the greatest of ease. The Electric Blanket is machine washable and supplied with a two year manufacturer's warranty as standard.